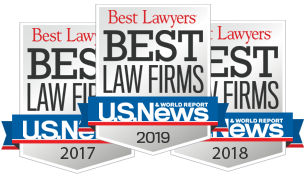 Jacksonville Maritime Lawyer | LMAW, P.A. Jacksonville boasts an array of outdoor activities for both residents and visitors to enjoy, especially those involving water and the ocean. The city is home to over 20 miles of beautiful beaches, offering several exciting options for patrons to choose from, like swimming, parasailing, jet skiing, boating, and fishing. The city is also home to the United States’ newest port, Port of Jacksonville, an international trade seaport and cruise ship terminal. Known as Jaxport, the port is the third largest in Florida and welcomes over 21 million tons of cargo each year, as well as several cruise ships, including those of Celebrity Cruises and Carnival Cruise Line. There are also talks about building a new port strictly for cruise ships. However, with so many water-based activities and the city’s overall close proximity to the ocean, there are numerous opportunities for disaster to strike. Luckily, anyone who has been involved in an accident at sea or any body of water has the right to contact an experienced maritime attorney for help. Accidents on the water can strike at any given moment, many of which lead to serious and life-threatening injuries. There are times when these accidents happen by chance, but several are the result of someone’s negligent or reckless actions. Boating under the influence, speeding, improperly maintained equipment, and vessel operator inexperience are all factors that can lead to perilous situations in open waters. And when negligence leads to a maritime accident, victims may be entitled to compensation for their pain and suffering. Whether the accident occurs on board a cruise ship, on a personal water craft, while working at a shipyard, or even during a shore excursion, it’s important for victims to understand they have a right to seek legal counsel with a maritime lawyer in order to ensure their rights are protected. Here at Lipcon, Margulies, Alsina & Winkleman, P.A., protecting victims’ rights is our mission. We handle a variety of accident and injury cases, from those occurring on navigable waters to those that happen on land. Working out of South Florida, where we are surrounded by countless bodies of water, we know how many dangerous maritime situations can arise – especially in Jacksonville, Florida. We take the time to thoroughly review your case and provide you with the best possible options to pursue a claim. We have helped hundreds of victims seek justice for the wrongs they have suffered at the hands of negligent cruise line operators, cargo companies, boaters, and watersport operators and can do the same for you and your loved ones. Because maritime law matters can be extremely complex, it can be easy to feel overwhelmed when trying to understand your rights and what your legal options are. Oftentimes, victims who suffer minor injuries may not believe they are entitled to damages so they refrain from taking legal action, while other times, victims may feel intimidated when trying to go up against large maritime corporations and operators, so they suffer in silence. However, it’s important for anyone who has suffered a maritime injury to understand that the majority of the laws are on the victim’s side – especially when the incident was the result of wrongdoing or failure to abide by proper safety regulations. With over 100 years of combined experience in the field, we know the laws inside and out and strive to fight for your rights. Our job is to investigate the circumstances surrounding your case and determine the best approach to take so those responsible for your accident can be held accountable for their actions. We have successfully handled cases involving boating accidents, cruise ship accidents and cruise passenger disappearances, seaman claims, claims under the Jones Act, and several others, and we want to put our experience to work for you. There is only a small window of opportunity to pursue legal action if you have been involved in a maritime accident, so it’s imperative you seek counsel as quickly as possible to prevent your case from being denied in court. Our maritime lawyers are ready and waiting to assist you right now. If you or someone you love has suffered an accident at sea or in port, contact Lipcon, Margulies, Alsina & Winkleman, P.A. online or call us toll-free at (877) 233-1238 to schedule a free consultation.